A computer tune up will bring back the performance you enjoyed when you first bought the pc. One of the biggest factor affecting computers today is too many programs running in the background with insufficient memory to meet those demands. As a result, optimizing the operating system to work with your current hardware specifications is the only way to speed up that slow computer. 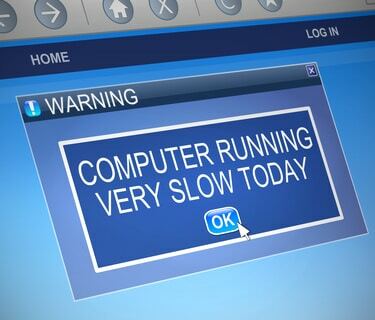 If you have a pc or a laptop running slow, then you need this service. Click the “Tune Up My PC” button to get started. Do You Need A Computer Tune Up? Remember how fast your computer used to run when you first purchased it? How is it performing today? Does your computer take forever to boot up? Are you frustrated with how long it takes for programs to launch? Are web pages taking too long to open? These are symptoms that your PC needs a tune up. Having a computer that is slow is very annoying to say the least. Over time computer performance deteriorates and makes your computing experience less than enjoyable. A maintenance tune up should be performed regularly. At the very least it should be done monthly. It all depends on the usage of your computer. The first sign that you need a computer tune up is when you noticed a difference in the overall performance of your PC. Keep in mind that you must distinguish between a slow computer and a computer infected with a virus. The majority of the time I end up doing a computer tune up after removing viruses. Virus infections will have a negative impact on the speed and stability of your PC. 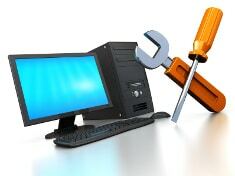 A computer tune up service will boost overall PC performance. This is accomplished by making changes to specific areas of Windows operating system. Part of this service also involves checking to see if the pc or laptop is capable of handling additional memory, aka RAM. Having a finely tuned computer with ample memory will make a big difference. Combining a computer tune up service with a memory upgrade is a great way to speed up a slow computer. You must realize that newer software will demand more from memory resources. This puts a strain on PCs with insufficient memory. Give me a call today and don’t put up with a slow computer any longer. PCMechanic Computer Repair in Davenport, FL is here to help you.